Advertising campaigns for raising the number of Facebook fans cost the U.S. State Department’s Bureau of International Information Programs (IIP) $630,000, according to a report which also suggests the PR game was likely not worth the effort. Each of the four English language Facebook pages hosted by the Bureau of International Information Programs saw their number of fans skyrocket from 100,000 to over two million people over a two year period. 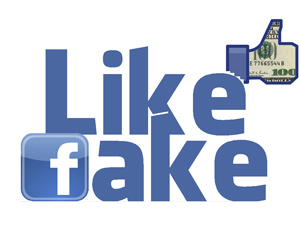 The 7 digit “likes” figures are due to two expensive 2011 and 2012 advertising campaigns, concludes the Inspector General’s (IG) report, which was issued in May and has recently appeared online. The Bureau’s foreign language pages have also seen their fan numbers multiply, rising from 68,000 to more than 450,000. Not everyone is impressed by the figures, however. “Many in the bureau criticize the advertising campaigns as ‘buying fans’ who may have once clicked on an ad or ‘liked’ a photo but have no real interest in the topic and have never engaged further,” the report reads. The IG offi ce spent a week on monitoring the Bureau’s Facebook activity to find out only two percent of their “fans” fell under the category of engaged audience—liking, sharing and commenting on the IIP page’s content. The lack of truly engaged fans presents a separate problem under new Facebook rules starting from September 2012, which state that one has to actively interact with the “liked” page in order for it to appear in their news feed. “This change sharply reduced the value of having large numbers of marginally interested fans and means that IIP must continually spend money on sponsored story ads or else its ‘reach’ statistics will plummet,” the IG report says, urging the Bureau to cut advertising spending and make it more targeted, finding “the right balance between youth and elite audience engagement”. The pitfalls of opting to invest in ‘likes’ regardless of whom rather than seeking out a more loyal audience comes particularly into focus when viewing the U.S. State Department bureau’s dealings with its online Iranian audience. The Vision of America page in Farsi, run by the Bureau of International Information Programs, has gained over 420,000 fans. However, only one percent of those people live in Iran, where there is no Facebook advertising anyway. Another page, USAdarFarsi, run by the Bureau of Near Eastern Affairs, has an audience of some 130,000, but the content it supplies results in half of its page fans actually being Iranians.